Born in Hong Kong to a Shanghainese family and raised in the United States, Esther Sham was exposed to different cuisines from an early age. 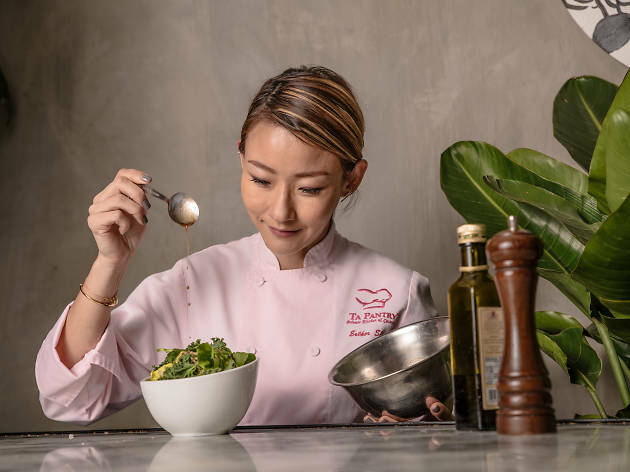 Leaving behind a career in modeling, Sham began her professional journey into food with an apprenticeship at L’Atelier de Joël Robuchon in Hong Kong. In 2008, she opened her own private kitchen, Ta Pantry, on Start Street. Sham further honed her skills at some of the most renowned kitchens in France, including Relais Louis XIII in Paris and Le Jardin des Sens in Montpellier. She continues to oversee the evolution of Ta Pantry, as well as her French restaurant, Maison Es. Sham will bring her heritage-inspired culinary stylings to Time Out Hong Kong's Chef Showdown on April 18, where she'll go up against Blue · Butcher & Meat Specialist's resident chef, Sebastian Comerso.